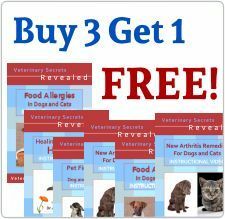 Home Recipes for Dogs and Cats contains over 40 Dog and Cat Food Recipes that you can make at home now. Recipes that you can TRUST - Veterinary approved! This is a digital book (e-Book), and is not available in print. The e-Book comes in the following formats: iPad/Nook/Kobo/Sony (ePub), Kindle, and pdf (usable on all systems). All formats are included with your order. Place your order now and receive your download instantly!